Weavaway Travel Fleet List: YN61 AXF/G arrived on 27th, with AXJ/K due to arrive tomorrow. Meanwhile AXD has been branded for Haywards as expected, but AXS has been branded Abingdon Coaches. Thanks to David Wilder for this. Aldermaston Coaches Fleet List: W117 TJF was sold to James travel, Caerphilly in August. Thanks to Bus Fare magazine for this. Courtney Coaches Fleet List: Wright Streetlite MX60 GXE was in use on loan from Mistral from 8th to 20th June, followed by MX11 EHC from 21st to 28th June. MX11 JYV is staying with the fleet on a three month trial. RX55 AOT was advertised for sale in July. RX06 XFD/E and KX08 HMD were returned to Dawson Rentals in June, with KX08 HMW also having departed there in May. KX08 HMD went from there to Arriva Derby the same month, and KX08 HME to Huyton Travel by August. Thanks to Bus Fare magazine for this. Horseman Coaches Fleet List: The new Plaxton Cheethas appear to have entered service in September as expected, with one registered RX61 GDY noted in Blackpool on 15th. Thanks to Paul Jenkinson for this. New in August was Volvo B12B / Plaxton Elite YN09 HRG from Logan, Dunloy. M659 SBL and N661/3/4 VSJ were sold to Plaxton (dealer) in June along with previously reported N665, with all but N661 passing to AB Coaches, Paignton in July. Thanks to Bus Fare magazine for this. Other Reading Operators: Two Rivers Travel ceased trading in September. Thanks to Bus Fare magazine for this. Reading & Wokingham Coaches Fleet List: FJ07 VWU was acquired from City Circle in April and PN09 CME from McLeans, Witney in June with J563 HGH sold to Wheelers, North Baddesley in May, GIG 7568 offered for sale on ebay in July and departed by August and YN51 XNE offered for sale on ebay in August. Thanks to Bus Fare magazine for this. Also new in April was BX54 ECE from Peter Carol, Bristol. Thanks to Buses magazine for this. Stewarts of Mortimer Fleet List: YN55 YSJ was sold to Plaxton (dealer) in January, and then passed to Hunters Coaches, Daventry in September. RE11 HGJ has been named Rob and Lorraine. Thanks to Bus Fare magazine for this. Weavaway Travel Fleet List: Re-acquired in August was MCW Metrobus Mk2 B10 MSC from Allander Travel, and immediately reregistered A20 AOA. Vehicles on hire from Plaxton (dealer) pending the arrival of the new Panthers have been former KX08 OMB/F/G and similar Irisbus / Plaxton Panther YN08 OWZ. The registration of the Enviro 200 acquired in September is SN61 DCF not BCF. YN07 PZU/TKD were sold to Moseley (dealer) in July. Thanks to Bus Fare magazine for this. WA61 AJX/KX are branded Countywide. Thanks to Dale Scutter for this. White Bus Service Fleet List: New are Alexander Dennis Enviro 300 MX09 GZL and Volvo B7R / Plaxton Profile LD04 MCT. These replace R674 OEB which has passed to Vale (dealer) and R89 GNW which will remain in reserve to cover body overhaul work on the Dennis Lances. Thanks to Bus Fare magazine for this. Stagecoach in Oxfordshire Fleet List: 33655 transferred from Banbury to Oxford on 24th. Thanks to Martin Townsend for this. 47455 remains on loan. Stagecoach in Warwickshire Fleet List: 16786 has arrived in reserve at Stratford from Manchester. Thanks to Steve Buckley for this. Leamington reserve 33356 has moved to Northampton. Thanks to Keith Wood for this. Reading Transport Fleet List: 820/1/3/6 had departed by 16th. Thanks to Brian Coney for this. 805 has uniquely received routes 5/6 branding in place of route 5. Reading Transport Scania OmniCity Double Deckers: The seats in 1112 had been retrimmed in moquette from leather by 16th, with 1106 being treated. 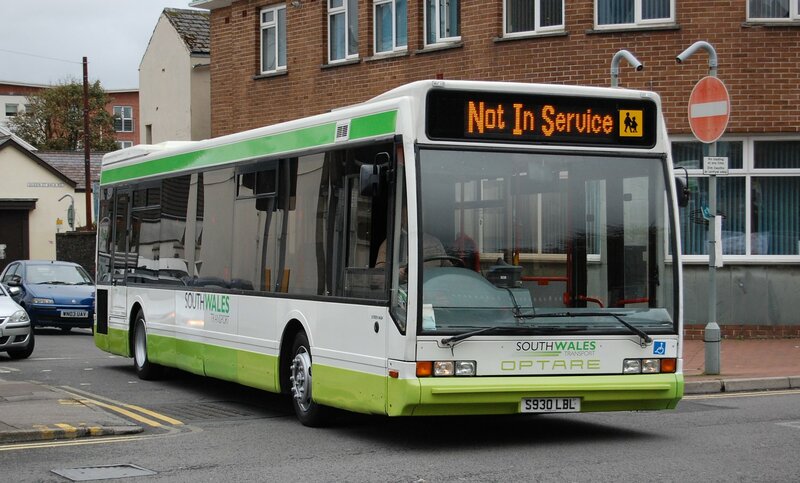 Reading Transport Optare Excels: New photo of former 930 with South Wales Transport added. Thanks to Andrew McKinnon for this. Oxford Bus Company Fleet List: T807/8 RFG arrived from Brighton & Hove on 18th, and have been parked at the back of the depot along with 902/3/8 which have returned from a period at a storage site. Thanks to John Hammond for this. T809 RFG is also expected. Thanks to Gez Nicholls for this. Contrary to reports elsewhere, 902/3/8 are not in use with Thames Travel. Thames Travel Fleet List: 109 has been converted to single door layout along with its repaint into Thames Travel livery. Thanks to John Hammond for this. 909 has been seen around and about in Thames Travel livery, but not in service. Thanks to Steve Annells for this. 67 has been withdrawn and advertised for sale. Weavaway Travel Fleet List: Iveco / Plaxton Panthers YN61 AXD/AXS arrived yesterday, later than originally planned. The vehicles covering for their arrival are returning to the dealers shortly, having reportedly now found new homes. Thanks to David Wilder for this. 327 RFC, KX08 OMF/G, YN08 OWZ, NE06 LAN, NE07 LAN are now regularly outstationed at Reading Buses Great Knollys Street depot along with two others to make a total of 8. Thanks to Brian Coney for this. First Berkshire Fleet List: 34215/6/8 arrived at Bracknell from London on 10th September for storage. Thanks to Mat Wooll for this. Weavaway Travel Fleet List: The two new Bovas are WA61 AJX/AKX and were delivered on 4th and 1st. Thanks to David Wilder for this. They have Weavaway branding. Stagecoach in Warwickshire Fleet List: 47010 in use at Stratford. Thanks to Keith Wood for this. First Berkshire Fleet List: 33153 returned to Bracknell from loan to Slough in September. 20806/7 received RailAir lettering in September after use at the Walker Cup Golf tournament on 10/11th. Thanks to Brian Coney for this. Thames Travel Fleet List: Oxford Bus Company withdrawn T109 DBW was noted running out of service in Oxford on 7th in Park & Ride livery with repainted blue skirt and Thames Travel Logos. Thanks to Graham Low for this. T112 DBW has also transferred in from Oxford Bus Company, but in plain unbranded Oxford Park & Ride livery, and was in service by 5th. Thanks to Lee Mawford for this. Oxford Bus Company Fleet List: 117 remains active on Park & Ride services, whilst the remaining withdrawn examples 107/9/12 are all now with Thames Travel. Stagecoach in Warwickshire Fleet List: 47014 has a new MegaRear for Action for Children. Thanks to Keith Wood and Martin Townsend for this. 47010 appears to have returned to service from reserve. Thanks to Martin Townsend for this. New for Megabus are Volvo B9R / Plaxton Panther 2s KX61 GDU/DV/EJ, arriving on 5th. Thanks to Tony Hunter for this. News Page: Thames Travel demonstrator SN59 AWV. Thanks to Ant Poulton for this. 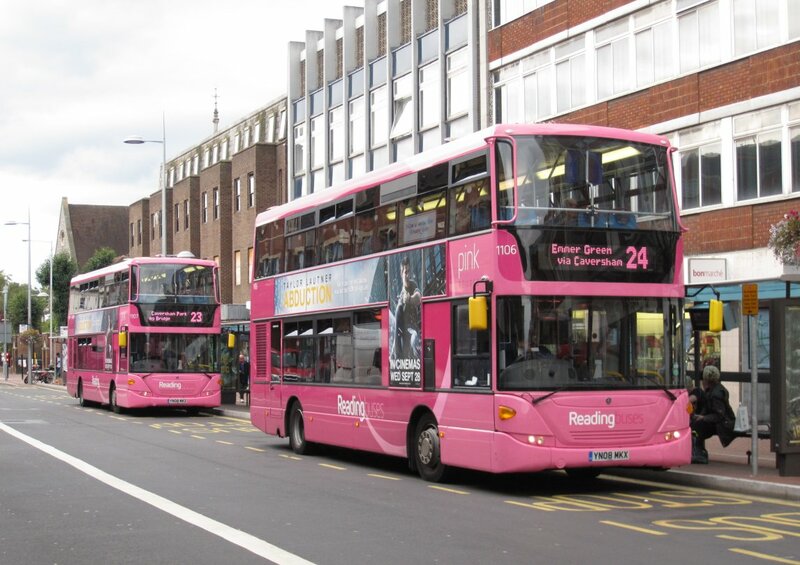 Reading Transport Fleet List: 219 entered service on 2nd. Thanks to David for this. Courtney Coaches Fleet List: A new addition appears to be Dennis Trident / Plaxton President PJ02 PZT from London General in plain white. Thanks to David Gray for this. It was in service by 22nd September. Thanks to Steve Guess for this. 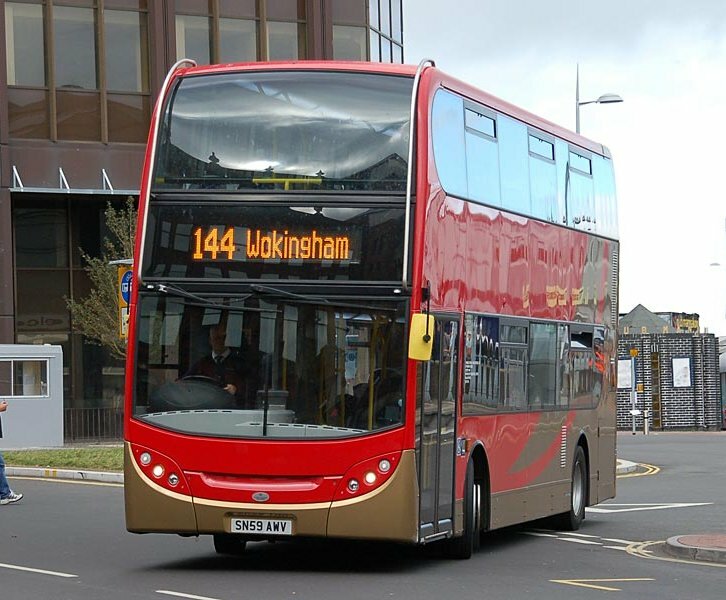 First Berkshire Fleet List: Loaned 42414 returned from Slough to Bracknell by 3rd. Thanks to James Cammell for this. Thames Travel Fleet List: R9 OXF has now left the fleet again, but 107 remains. Thanks to Grahame Pooley for this. Meanwhile Alexander Dennis Enviro 400 demonstrator SN59 AWV was in use today (having only recently been released from loan to Stagecoach). Thanks to Bob Stanger for this. Stagecoach in Oxfordshire Fleet List: Loaned 33653 returned from Banbury to Oxford on 3rd in exchange for 47455. Thanks to Martin Townsend for this. 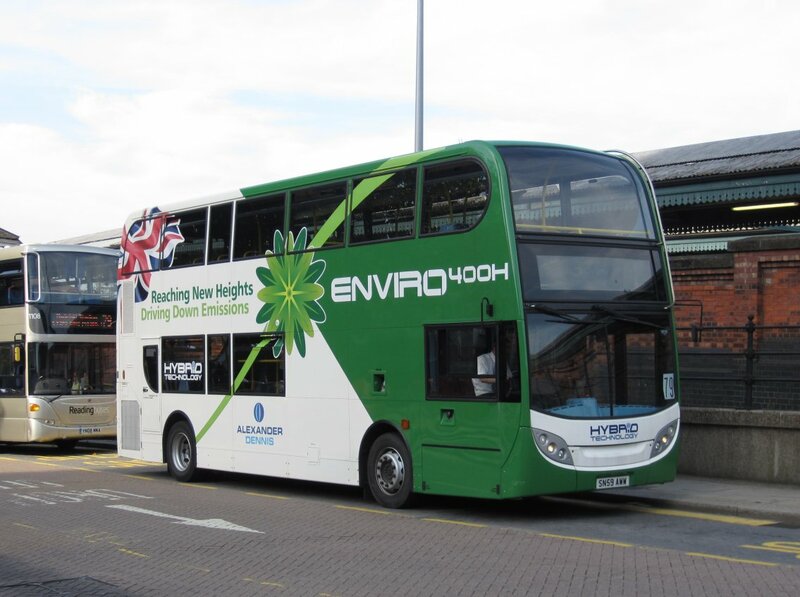 Eleven Scania ND230 / Alexander Dennis Enviro 400s 15752-62 are on order for November/December for an enhanced route S5. 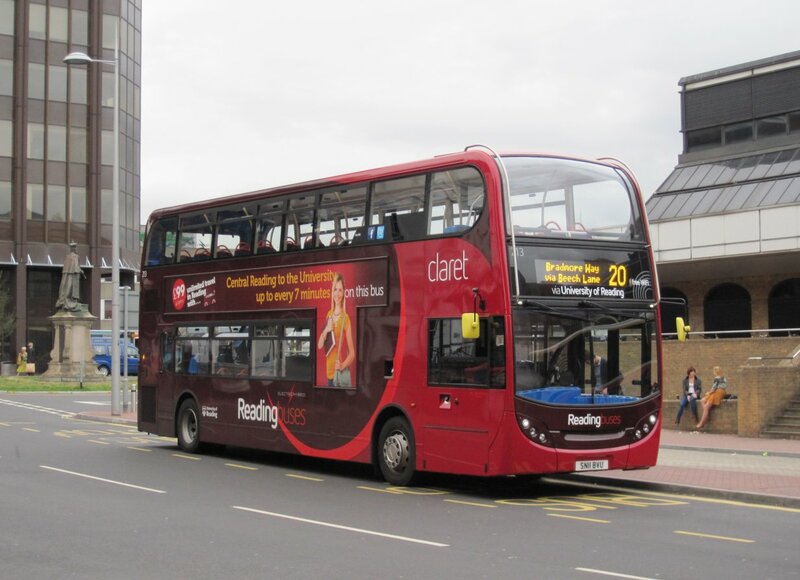 Reading Transport Fleet List: 220 and 231 were in service today, leaving just 219 to confirm. 820/1/3/6 appear to have been withdrawn on 1st as planned, which is also likely to be the withdrawal date for 1017/8 with 1019 likely to have been 30th. Reading Transport Scania OmniDekkas: Former 832/3 departed for Go South Coast on 31st August and 834 on 27th September. Thanks to Brian Coney for this. Stagecoach in Oxfordshire Fleet List: 33653 went back on loan from Oxford to Banbury on 30th. Thanks to Martin Townsend for this. 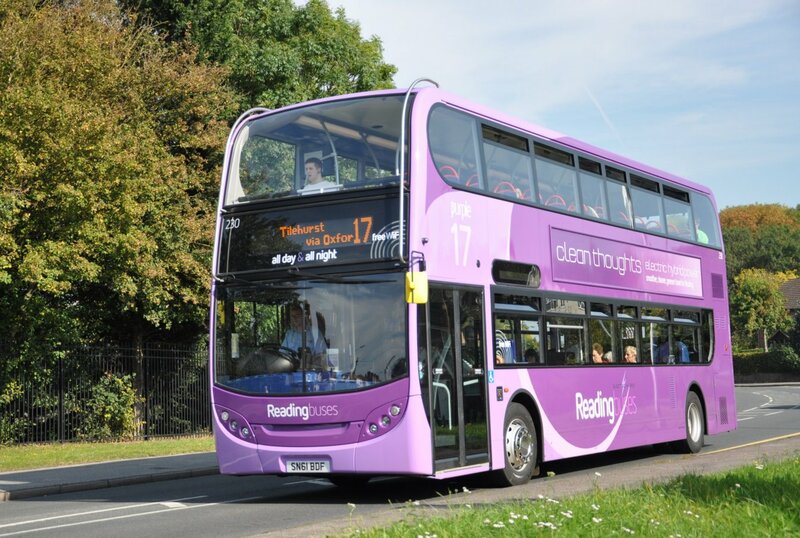 Reading Transport Fleet List: 221-30 entered service today. 834 was withdrawn following service on 23rd, whilst 832 departed for Go South Coast by early September. Today is likely to have been the final day in service for 823 and 836. Weavaway Travel Fleet List: Alexander Dennis Enviro 400H SN59 AWW arrived on loan yesterday to cover warranty work. Thanks to David Wilder for this. 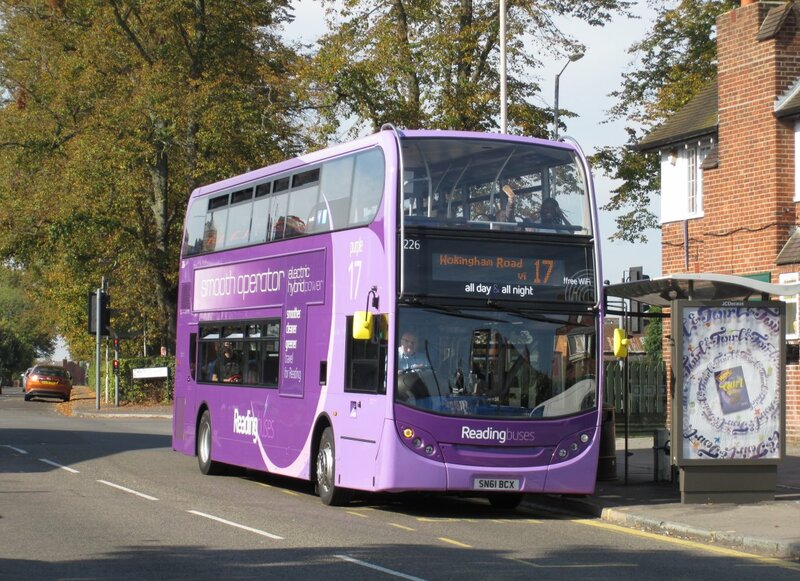 Reading Transport Fleet List: 231 was delivered on 27th and is SN61 BDO. 820/1/3/6 are to be withdrawn following service tomorrow. 1110-4 will be branded for Thames Valley Park for launch on 10 October. The new Wright Streetlites will be fleet numbers 151-6 and wear a lime green livery. 1104 returned to service from repaint into pink on 26th. Stagecoach in Oxfordshire Fleet List: 33650 returned to Oxford from loan to Banbury on 24th, and 33653 transferred from Banbury to Oxford on 27th. Thanks to Martin Townsend for this. 34436 entered service in Banbury on 27th and 34437 on 28th. 33655 will remain allocated to Banbury until November to provide additional cover for roadworks, whilst reserve 33821/2 are now allocated to Banbury as active vehicles as well. Oxford's loaned 15440 returned from Witney on 27th following completion of the Enviro400 modification works, with 80016 withdrawn from Oxford by 23rd pending return to Alexander Dennis. South Gloucestershire Bus & Coach FJ60 HYV was returned off loan today with 59211 to return to service. Stagecoach in Warwickshire Fleet List: 28502-4 are now with Johnsons Coaches. Thanks to Martin Townsend for this.